Around the beginning of 1961 it became fairly obvious to me that my number would soon come up for the draft. The cold war was in full swing and the draft boards were active. I already was leaning toward the Navy because of my new found interest in things nautical. In addition, there were three reserve Naval Officers in the office where I worked at the time and they went on a campaign to convince me to go for a commission. One of them told me that I might work at it for the rest of my life and never achieve the status of “gentleman” but if I got a commission in the military I would automatically be considered a “gentleman.” I’m not sure how important “gentleman” status was to me, but I was also told that being an officer would give me supervisory experience that would look good on my resumé. Well . . . okay, I decided to go for the commission. Instruction came in six different academic divisions: Seamanship, Navigation, Operations, Weapons, Orientation and Engineering. My favorites were the first two because they were general knowledge that anybody who was going to do anything at sea should know. Engineering was fairly easy for me because I already had an engineering degree and my former instruction was still fresh in my mind. However, many candidates without engineering degrees often had trouble with that category. Then, of course, there was marching. We were thoroughly instructed in how to march. Somewhere around the midpoint of the program we were issued OTUs (Officer Type Uniforms). 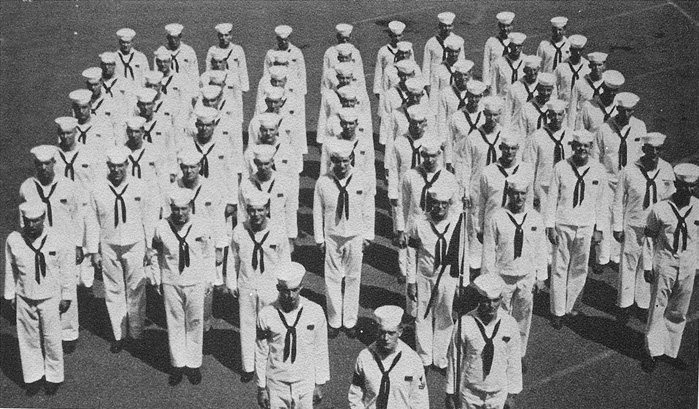 It was the khaki version and was essentially the same uniform worn by Midshipmen 4th Class (Freshman) at the Naval Academy. At about that same time our liberty privileges were increased and we were often free on the weekends. Newport, Rhode Island was a very nautical town. Besides the Navy presence there were large harbors for boats and yachts. One of my favorite pastimes when on liberty was wandering up and down the docks of the various boat harbors and gazing at the vast collection of boats. People who take part in this activity are sometimes humorously referred to by boaters as the “Shore Committee”. On one such occasion, while I was engaged in this pursuit, I came across a famous yacht with which I was familiar from reading various sailing magazines. It was the PINTA (name changed) a schooner which every year took part in the Bermuda Race and, as I remember, on at least one occasion, won the race. She was an absolutely beautiful yacht and, although it was basically the same rig as the LA BAÑERA, it was a “swan” whereas my old boat was an “ugly duckling.” It was meticulously maintained and as I was standing there drinking in its every detail, a duffel bag was suddenly tossed from the cabin to the top of the main hatch. On the bag in big broad letters was the word “ANNAPOLIS.” It was followed shortly thereafter by a young man with a neatly trimmed crew cut. He immediately saw me standing there gazing down at the boat. “Are you a plebe?” he asked. I was wearing my OTUs. Plebe is the term for 4th Class Midshipmen (freshmen) at the Naval Academy and is derived from the Latin “Plebeian.” We had a short conversation during which his attitude was arrogant and condescending. 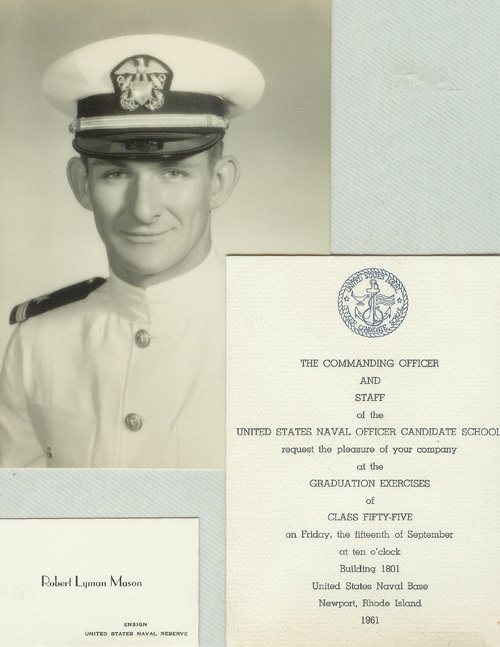 It turned out that he was a was on his summer break between his third and forth year at the Naval Academy. 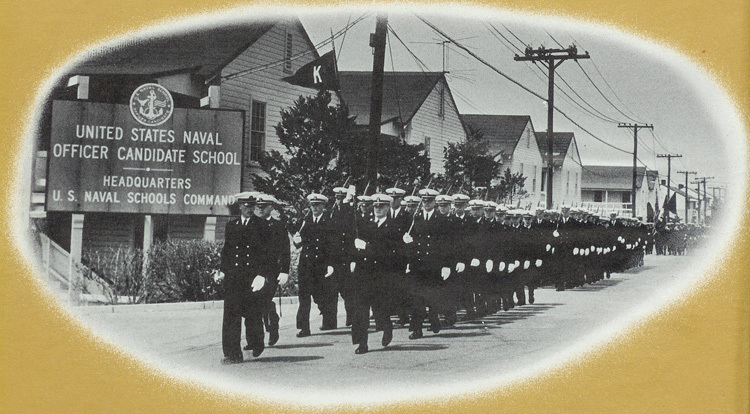 When he returned in the fall he would be a 1st Class Midshipman (senior), an upperclassman. During the conversation I realized he wouldn’t graduate until the following June at which time he would receive both his degree and his commission. On the other hand, I already had a degree and since I was more than half way through the four month program at OCS I would receive my commission long before he did. That, in turn, would mean that in our future naval careers, if all other things were equal, I would always be considered senior to him. I can’t remember my exact words, but I informed him in an off-hand manner of this little circumstance, then I executed a snappy RIGHT FACE and sauntered off down the dock, as casually as possible, making it a point not to look back. Finally, graduation time rolled around. We all attended the ceremony and at the end tossed our hats into the air as was traditional. We also observed another little tradition at OCS; after you were commissioned you paid a dollar to the first enlisted man who saluted you. 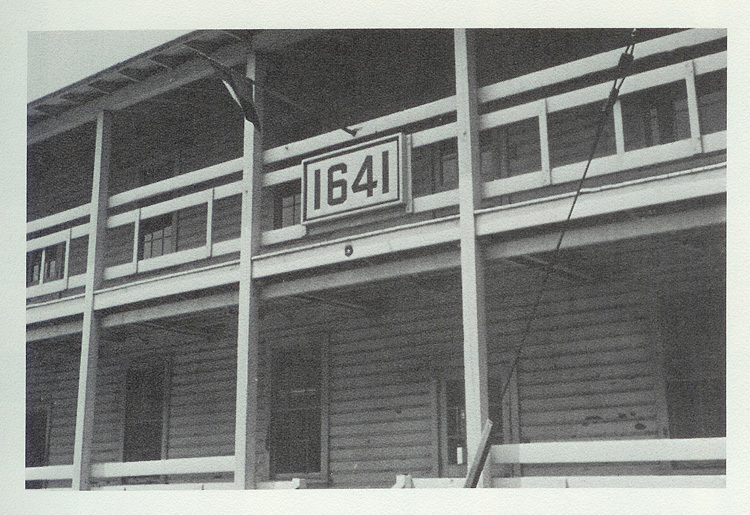 Knowing this, the Chief Petty Officer assigned to our company stationed himself strategically on the steps of the barracks, and as we all returned from the commissioning ceremony he collected an easy sixty bucks.